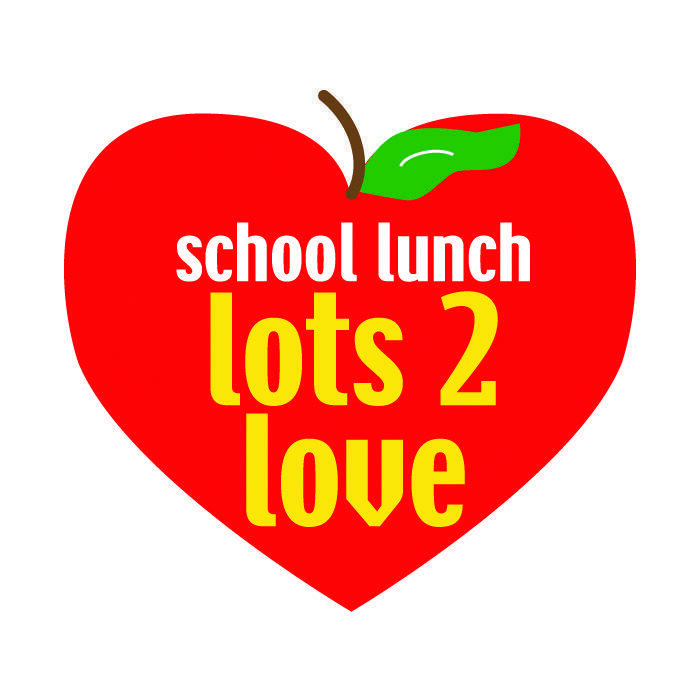 Mark your calendar for National School Lunch Week—October 15-19, 2018! 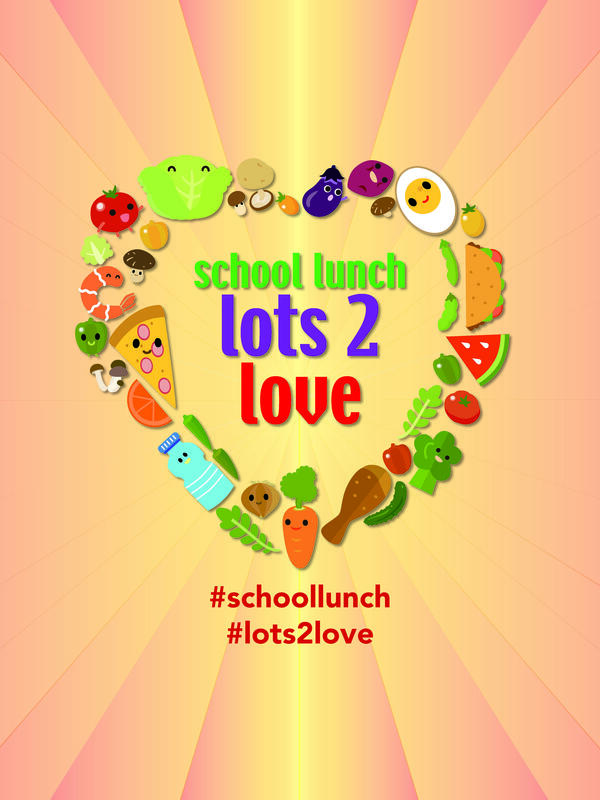 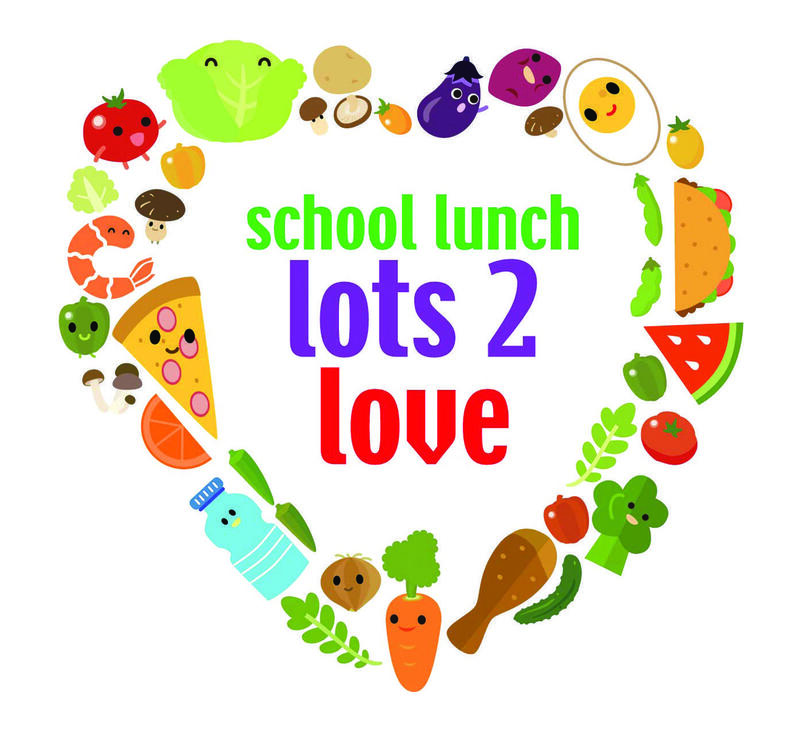 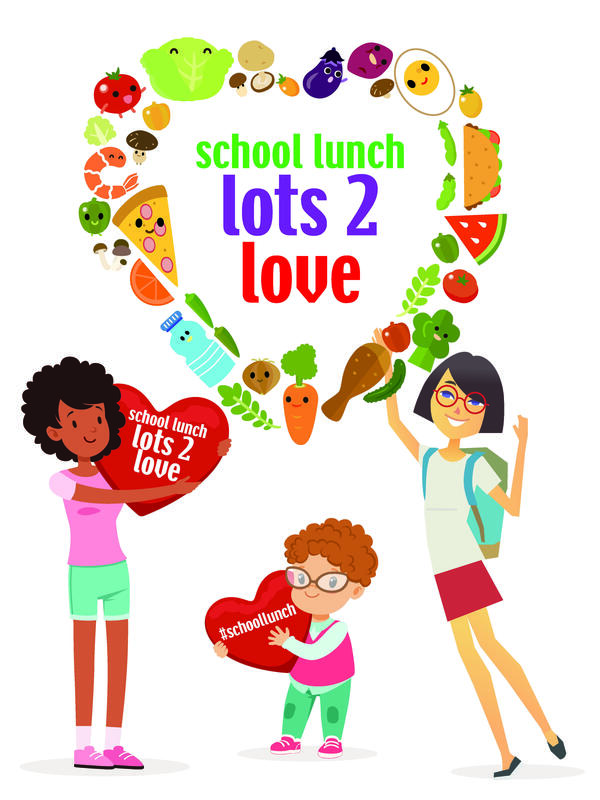 The #NSLW18 theme is “School Lunch: Lots 2 Love,” which was designed to help students and school nutrition professionals connect and share what each loves most about school lunch with parents, school officials, the media and the general public. 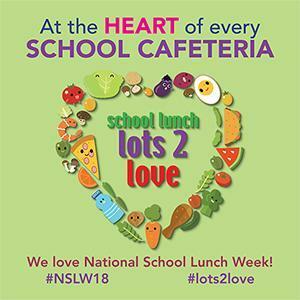 Created by President John F. Kennedy in 1962, National School Lunch Week (NSLW) is a weeklong celebration of the school lunch program. 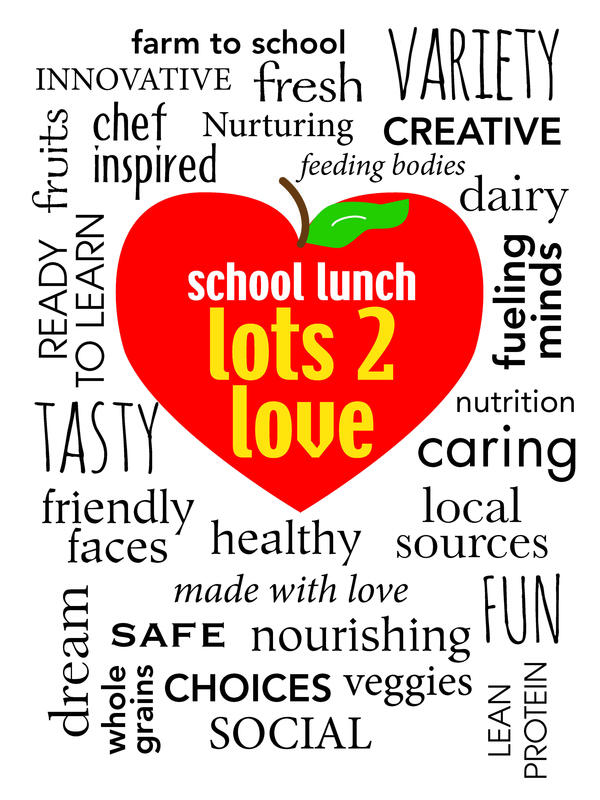 SNA members celebrate in their cafeterias every year with decorations, special menus, events, and more. 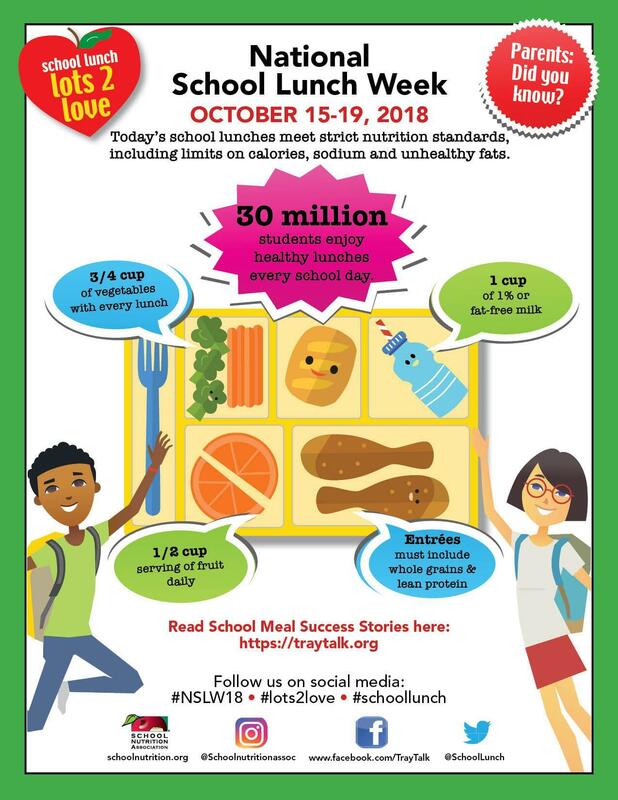 The NSLW 2015 theme is “School Lunch Snapshot” It’s about sharing the best, real images of today’s school lunch—fresh fruits and veggies, whole grains, milk, and smiling students. 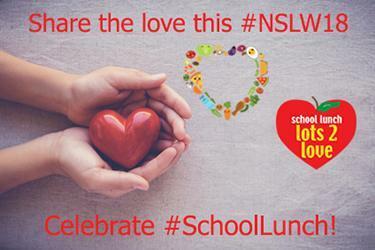 It provides a great opportunity for SNA members to capitalize on using social media to promote your program to parents and students, too!